Running 4 samples and 4 blanks for Juan this afternoon (overnight), then cleaning before the 4 IP samples for Donna. John’s set will be next. Orbi will be busy the next 3-4 days running two in-solution digests (8-hours each) for Tugba and Tania followed by 6 samples for John. More samples are coming later today! Yesterday, Orbi quit mid-run, so the queue is now 1 day behind. Samples are running: fingers crossed! If the problem persists, Orbi will be down for 2 days. Today is a gel day: running a couple of gels for myself and a customer and some in-gel digestions. Orbi will be running a TMT 2-plex sample in triplicate for Brian today (for 24 hours). This morning, tuning and calibrating Orbi for the intact protein analysis (for Tyler and Edward). After that, back to nano-LC: 4 samples for Yaqi. Cleaning and troubleshooting Orbi today. 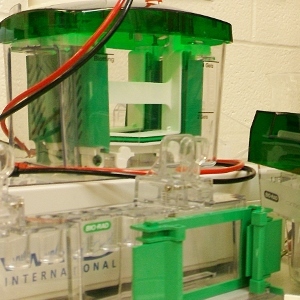 Filtering your samples is an easy way to get your samples analyzed without a delay. Setting up 4 TMT-labeled samples in triplicate. Orbi will be working this weekend. ETA: B. Cereus TMT-labeled samples are running, 230 min/sample.